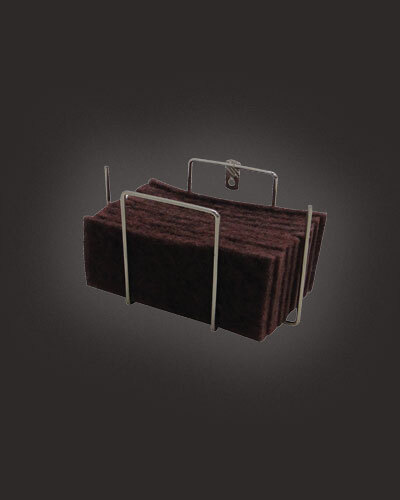 Parts Washer Scrub Pad Holder for use in manual parts washer units. Scrub Pad Holder attaches easily to the sink top on your manual parts washer. Scrub Pad Holder holds 10 Scrub pads.